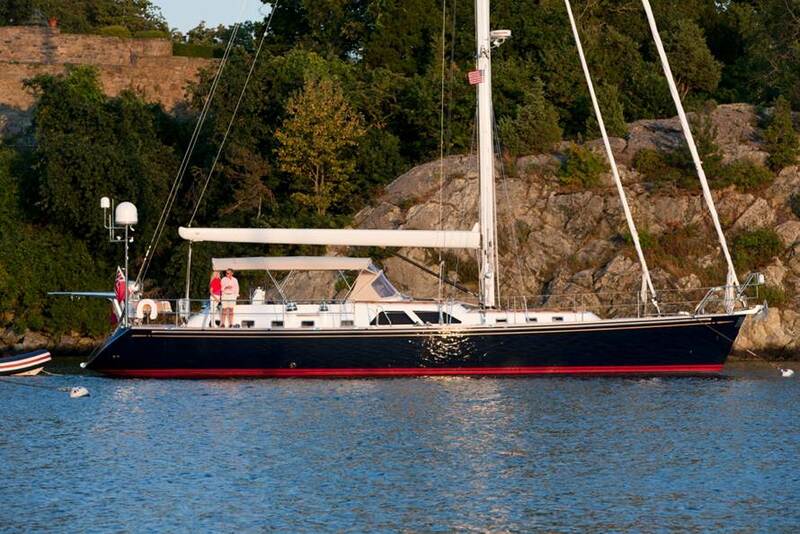 Luxury Sailing Yacht DESTINY was designed by German Frers and built by Hylas in 2010. 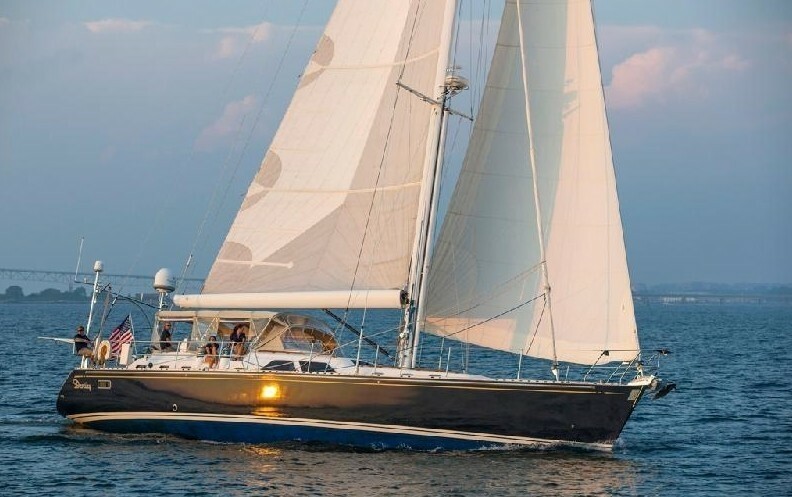 The yachts hull is a Twaron hull, a method using aramid fiber very similar to Kevlar which is ten times stronger than traditional fiberglass making the yacht light yet very strong. 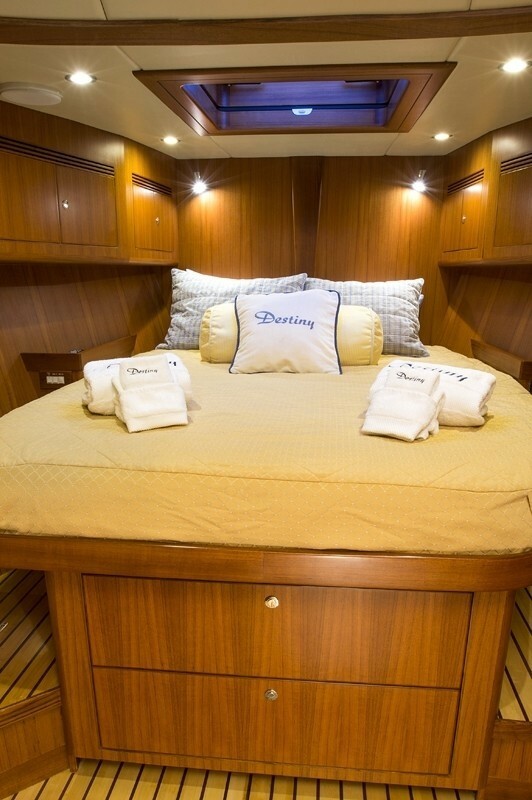 DESTINY measures 21.3m (70ft), she can accommodate up to 6 guests in 3 generous double cabins and is available for charter on the East Coast of the USA during the summer months and the Caribbean in the winter. 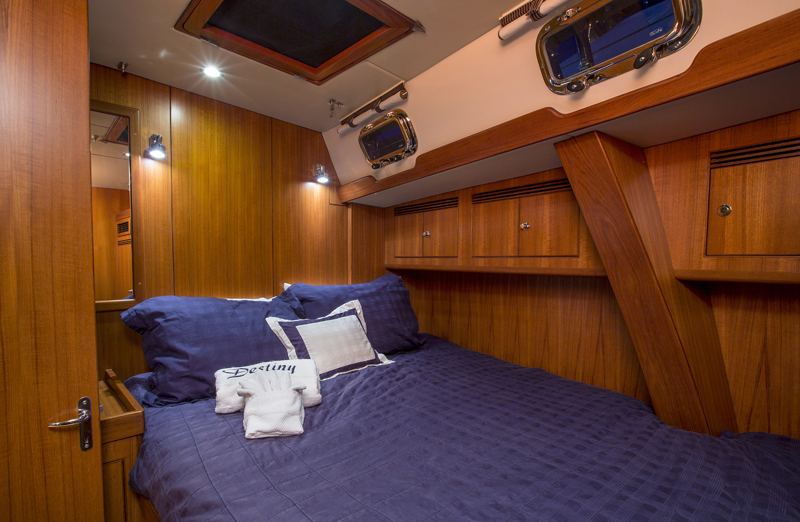 Sailing Yacht DESTINY has a warm interior featuring fine teak wood throughout. The salon offers ample areas to relax with 2 large cream leather sofas and large flat screen TV. A formal dining table is to port with an expandable leafed table, while to starboard a smaller table can be raised or lowered into a coffee area. 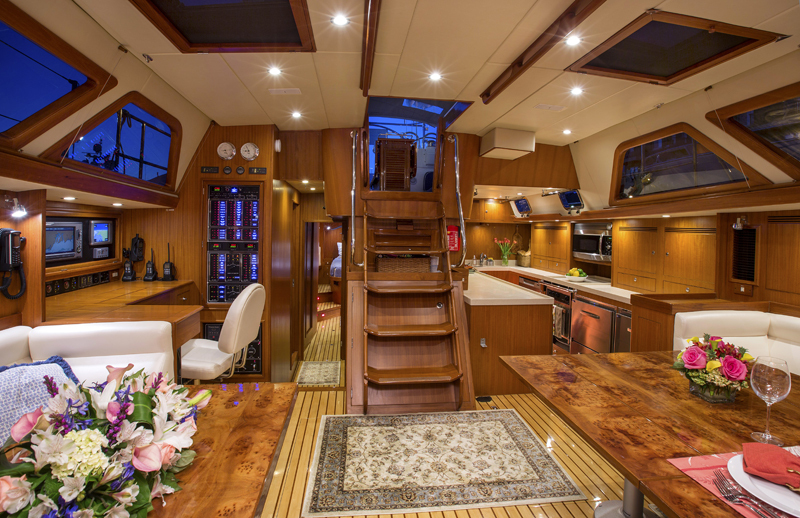 The salon receives plenty of natural light thanks to the raised deck housing design with 8ft of head room and abundant overhead hatches. 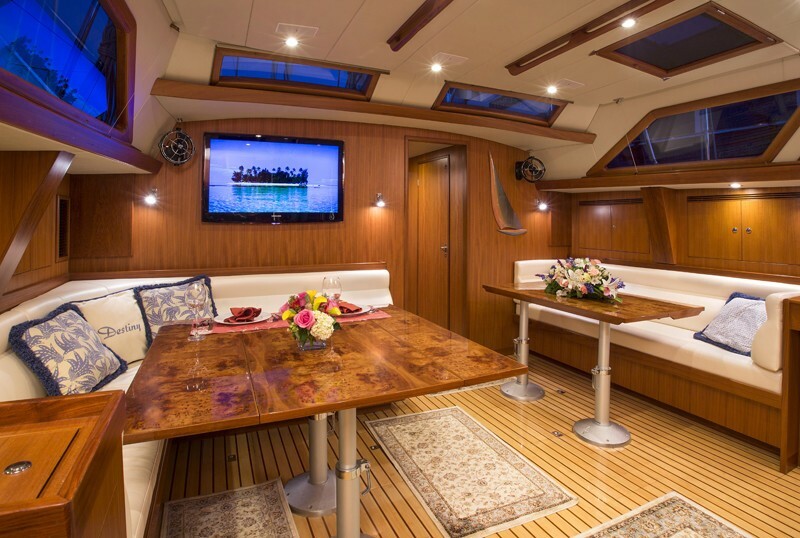 DESTINY provides excellent deck space for a charter yacht. 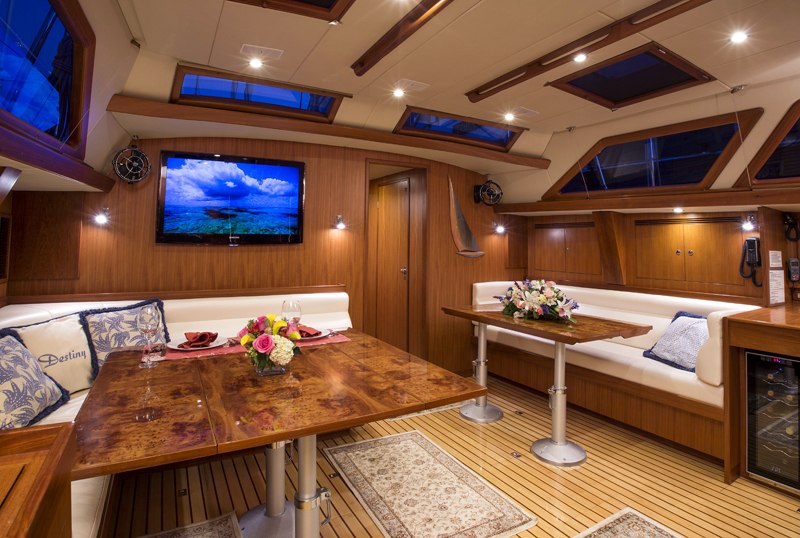 The main cockpit is large and is fitted with an alfresco dining table, comfortable seating and an optional Bimini cover. 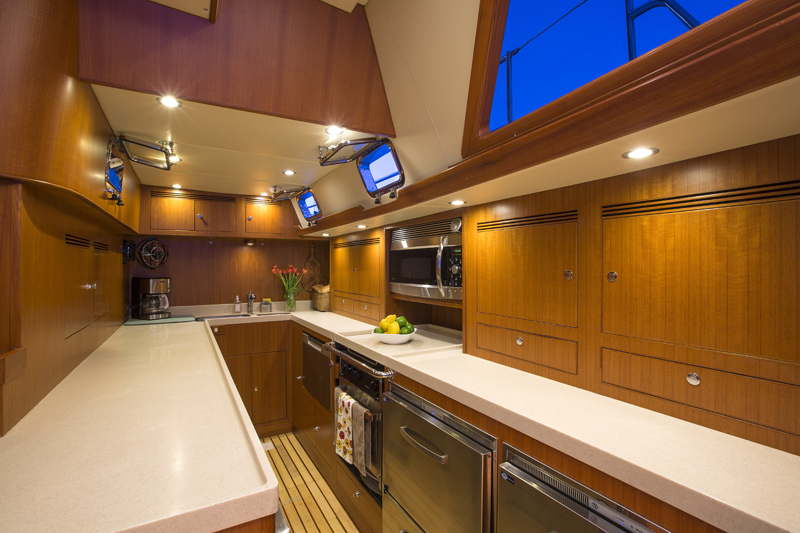 The dual helm station is directly beyond the guests cockpit followed by a spacious aft deck with additional seating, allowing easy access to the transom and swim platform. 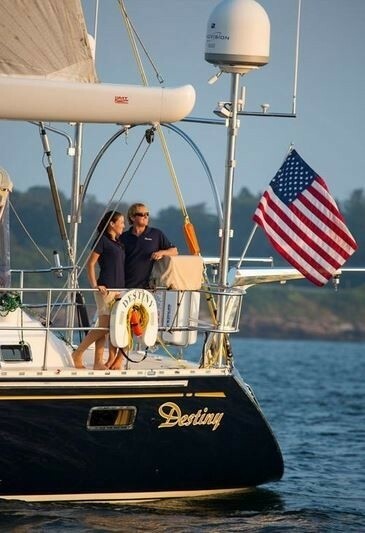 Yacht DESTINY has a beam of 5.6m (18.4ft) and a draft of 2.26m (7.4ft), she cruises comfortably at 8 – 10 knots powered by a single Yanmar engine. 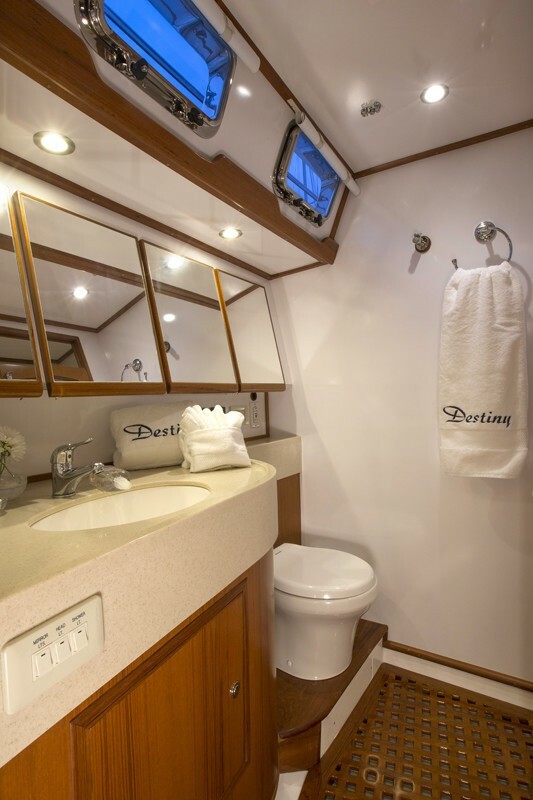 Sailing yacht DESTINY offers accommodation for up to 6 guests in 3 en-suite cabins. 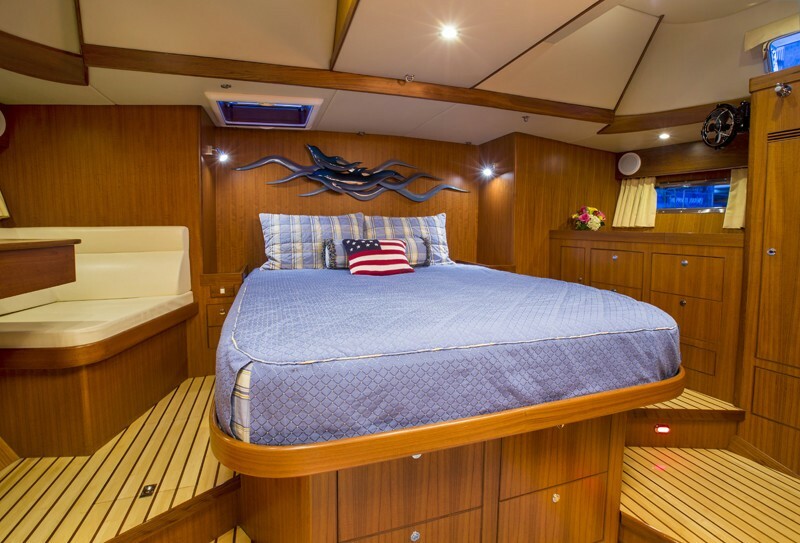 The master cabin is aft and full beam of the yacht with a center lined walk around queen size bed, settee and writing desk. 2 further guest cabins are forward with double beds and en-suite toilets, the 2 forward cabins have a shared shower room. 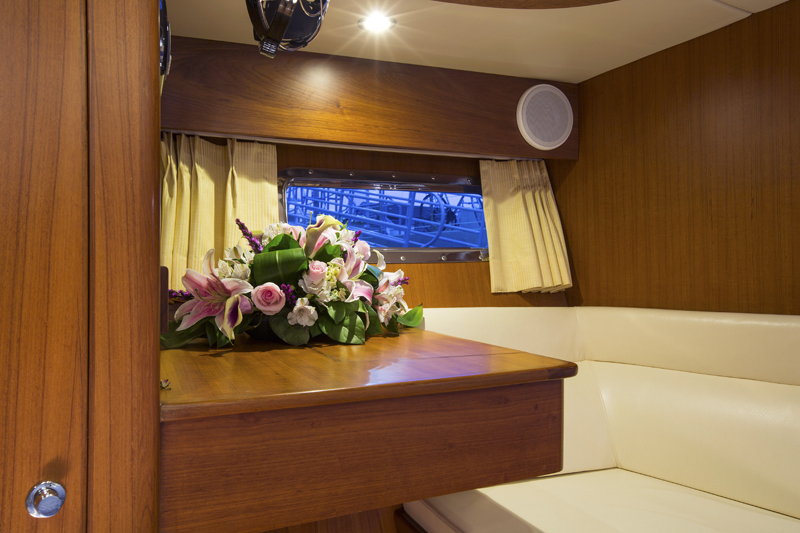 All cabins are fitted with TV and stereo systems and have 7 feet of head room and ample natural light. 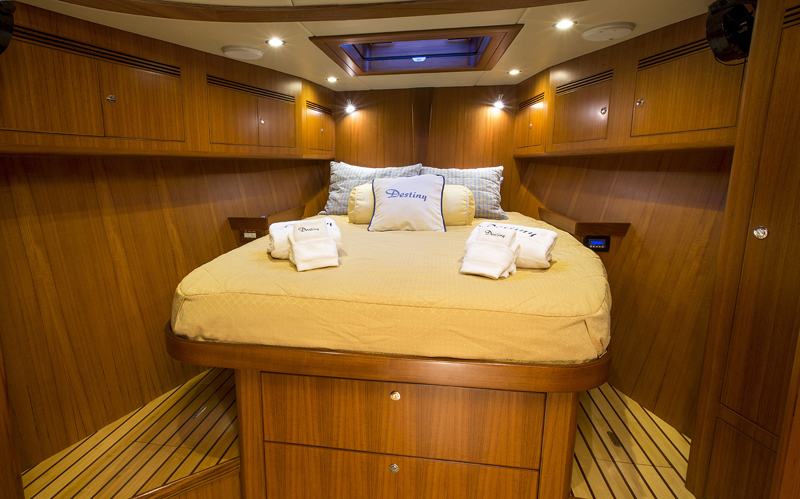 S/Y DESTINY offers guests a 12' AB inflatable tender with 25hp outboard, One inflatable kayak, 8 sets of snorkel gear. The yacht offers rendezvous diving by appointment. Wi-Fi, AC throughout. Hi Amanda, Hope you had a Happy New Year! We got home last night and had a wonderful time. The boat itself was great! Gunnar and Meghan did a great job. Meghan is a great cook and has a lovely manner about her. Gunnar was a Captain! very nice and eager to please. we all felt very safe with him. They were both also a lot of fun. We covered 8 islands in eight days so we were active. We did have Christmas winds but we got use to it. All said we had awesome time on Destiny and we would definitely book them again. Thanks for all your help. M.B Chartered DESTINY Jan in Grenada, Caribbean.